A virtual private network is a secure connection between two or more computers, usually over a local area network to share files and resources. In past, VPNs were primarily used by the companies to securely connect remote branches together or connect employees to office network. However, today managed VPN services play a significant role in protecting consumers from the nuisances of public wireless networks. Here are five things you must know about VPNs. There are risks involved in open wireless networks as attackers may use various techniques to enter the web traffic and hijack accounts on websites that is not secured with HTTPs security protocol. With VPN connection, traffic can be securely drove through a server located anywhere in the world. It protects the computer from local attempts of tracking or hacking. A well-managed VPN service allows users to access even those online contents that are not available in their region. Although it depends very much on the content owners if they have enforced any restrictions or not. VPN services also allow users to easily switch between several running servers. Usually, companies set their own VPNs complying with specialized network appliances, and so consumers get range of selection of free and commercial VPNs. On one hand, free VPN offers display ads and limited range of servers. On the contrary, commercial VPN services functions on subscription based model and don’t involve any data limits. Some of them even don’t keep any logs to differentiate between users. Different VPN technologies varies on the basis of encryption strengths that directly affect the connection speed. The selection of VPN technology and encryption strength should ideally depend on the kind of data that is passed through it. Now, there is option to create your own VPN server at home and access the services and devices on your home network from anywhere in the world. It is a much-improved option that exposing the services directly on the Internet. Some consumer routers have even built-in VPN facility that doesn’t involve setting up a separate VPN server in your network. 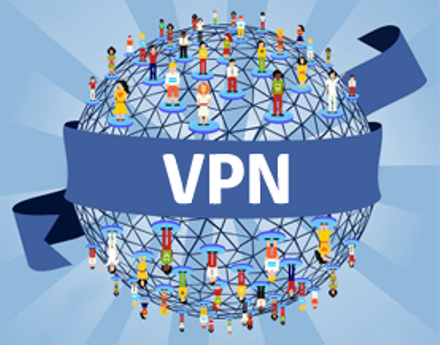 These are some latest information about VPN service you should be aware of.